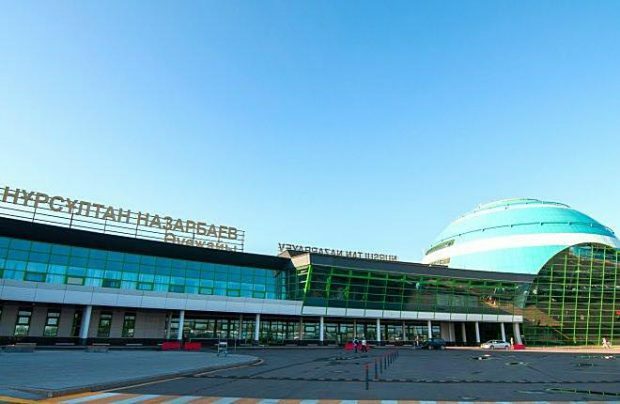 Astana Nursultan Nazarbayev International Airport (IATA code TSE) enjoyed a 17 per cent increase in passenger numbers in the first half of 2018 compared with the same period last year. Serving the capital of Kazakhstan, the airport handled 2.145 million passengers in the period. The double-digit growth is the result of a combination of the airport’s ongoing infrastructure improvements and its open-skies regime, which was introduced in 2017. The international traffic improvement rate at Kazakhstan’s second biggest airport has outpaced the domestic segment, 26 per cent against 12 per cent growth. However, the number of passengers on domestic routes remains much higher, with 1.347 million passengers versus 798,600 on international journeys. The number of aircraft movements increased 11 per cent to 14,400. Last year a new passenger terminal became operational at Astana, boosting its annual capacity from 3.6 million to 8.2 million passengers, equalling roughly half of the country’s total population. Traffic is projected to reach eight million passengers by 2025. The open-skies regime, introduced in 2017 prior to the Expo 2017 world fair, has contributed to the pattern of traffic growth by attracting new carriers, such as LOT Polish Airlines, Hungarian low-cost carrier (LLC) Wizz Air, Air China and Turkey’s Atlasjet. Kazakhstan’s air gateway currently handles 160 daily flights to 36 international and 21 domestic destinations. The airport has been enjoying strong growth since last year, when the growth rate was boosted by the Expo 2017. In 2017, Astana airport served 4.294 million passengers, up 25 per cent on the previous year. International traffic growth reached 39 per cent to 2.581 million passengers, whereas domestic segment climbed 18 per cent in the calendar year. For the first quarter of this year, the airport registered a 22 per cent traffic improvement to 969,000 passengers.